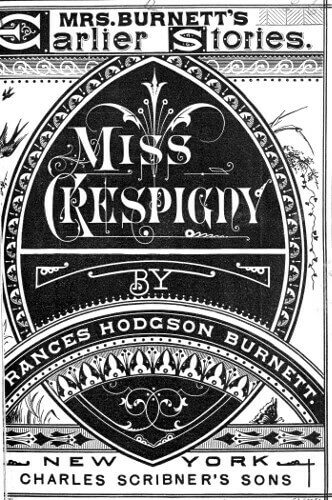 Miss Crespigny , Ms. Burnett's Earlier Stories, was published in 1879. "These love stories were written for and printed in Peterson’s Ladies’ Magazine . Owing to the fact that this magazine was not copyrighted, a number of them have been issued in book-form without my consent, and representing the sketches to be my latest work. If these youthful stories are to be read in book form, it is my desire that my friends should see the present edition, which I have revised for the purpose, and which is brought out by my own publishers.